Whether you are traveling from Dublin Airport, Kerry Airport, Shannon Airport,Dublin City or any Irish destination we would highly recommend you include a trip to the Game of Thrones location Drive when in Ireland, it's a beautiful scenic route, showing all the top locations from the show and is well worth the trip when visiting Ireland. Have you ever watched Game of Thrones and wished you could just be there, a part of all the drama and the beautiful scenery? Well now you have you can. We have created a 3 day trip across Northern Ireland, home to more Seven Kingdoms locations than anywhere else in the world. Before starting this trip the first thing we would recommend is organising a car hire from Car Rental Ireland, there’s a lot of ground to cover and it just wouldn’t be possible without arranging your own personal transport. The second thing you’ll need, is a camera because these places aren’t only locations from the set but they are also some of the most scenic places Northern Ireland has to offer. Who knows, you might even, stumble upon a stray Direwolf or get caught up in battle for the Seven Kingdoms so havr your camera ready. 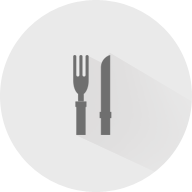 Day one contains the longest journey from one destination to another and the smallest amount of sightseeing. But trust us, it’s worth it when you get to day two and squeeze in 6 top class Game of Thrones destinations into one day. Pollnagollum Cave/Marble Arch Cave: Begin your journey in Fermanagh, in Pollnagollum Cave in Belmore Forest. This Cave is part of the breath taking Marble Arch Caves Global Geo Park. 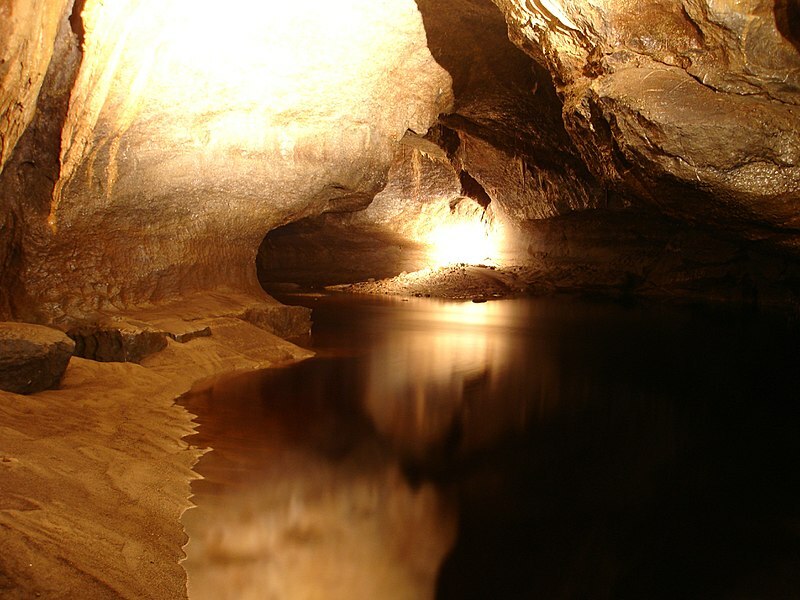 The Pollnagollum Cave walk, through Belmore Forest, is at the heart of Fermanagh’s cave country. 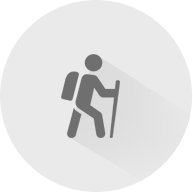 The walking route is mostly along forest tracks and offers stunning landscapes and views of Belmore Mountain. To walk this beautiful cave and scenic route will take about 1 and 30 minutes, depending on how fast you walk. The narrow road, during peak seasons, is often occupied by horse carriages so journeying through this road is recommended in the evening. Game of Thrones: This cave was featured in season three as Beric Dondarrion’s hideout in The Riverlands. ..Then you will have a little about a 2 hour drive in your rental car to Londonderry. 2 hours won’t seem too long with the wonderful views on offer. In Londonderry, you can camp, stay in a B&B or hotel, but most importantly make sure you get some rest because you’ll be squeezing a lot into day two of the trip..
You’re second day of Game of Throning will begin with three iconic locations from Game of Thrones in Londonderry, followed by another three in Antrim. This one day trip could be split into two if you feel it is two much travelling to squeeze into one day. why not take advantage of the extra time and to take a spin out to the Giants Causeway while in Antrim, which is considered one of Irelands best kept secrets. Day two begins with Londonderry....Are you ready?? Portstewart Strand: This beautifully scenic area is owned and ran by the National Trust. Sweeping along the edge of the North Coast, it’s said to be one of Northern Irelands best kept beach with spectacular views when looking out from atop the cliffs. Game of Thrones: While you are there, you might recognise the scenery from season five, as the coast of Dorne. When Jamie Lannister set out on a Journey to bring his Daughter Myrcella back to Kings Landing. Credit: The Boy that time forgot at English Wikipedia. 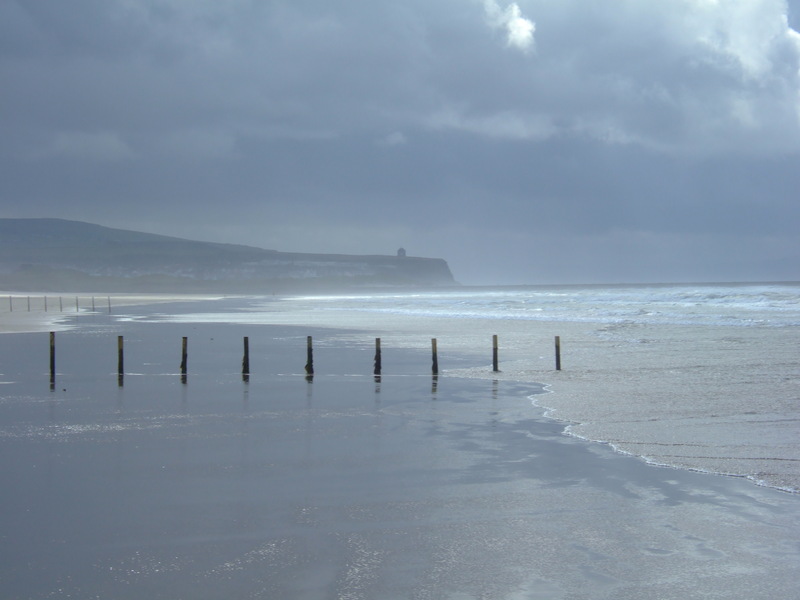 ..From Portstewart Strand you will take your hired car on quick a journey to Downhill Beach.. 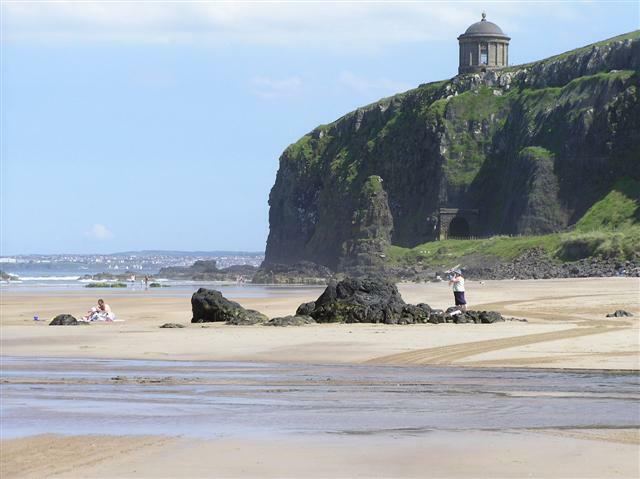 Downhill Beach: This stretch of beach is one of the most scenic in Ireland and visitors can enjoy views to Counties Donegal, Antrim and Londonderry. Downhill is an Area of Special Scientific Interest, it’s worth taking time out to go for a nature walk through an indescribable backdrop of cascading waterfalls, extensive sand dunes, and the prominent Mussenden Temple. This area is one of the most photographed in Northern Ireland. Game of Thrones: Downhill beach appeared during the early days of Game of Thrones in season two when Stannis Baratheon rejects the Seven Gods of Westeros and allows the Red Priestess to burn the effigies of the Seven and pledges to her. 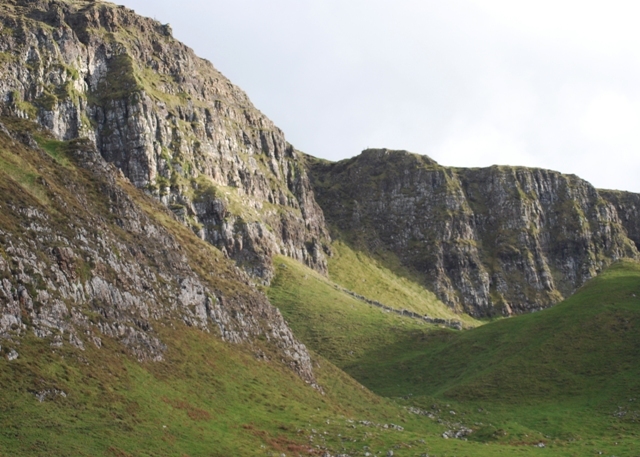 ..Then another short stint in your rental car, from Downhill you have drive to Binevenagh..
Binevenagh: Here you can enjoy a scenic drive and explore the panoramic views of the Mountain side and Lake. The steep cliffs stretch over six miles, providing a stunning backdrop of views across the peninsula of Magilligan and overlooking the skyline of the villages in the area. Game of Thrones: This magnificent landscape might be remembered from Season five when Daenerys Targaryen was rescued by her faithful dragon, Drogon, while escaping from the masked warriors the ‘Sons of Harpy’. ..Then a scenic drive to Dark Hedges in Antrim so have the cameras ready.. 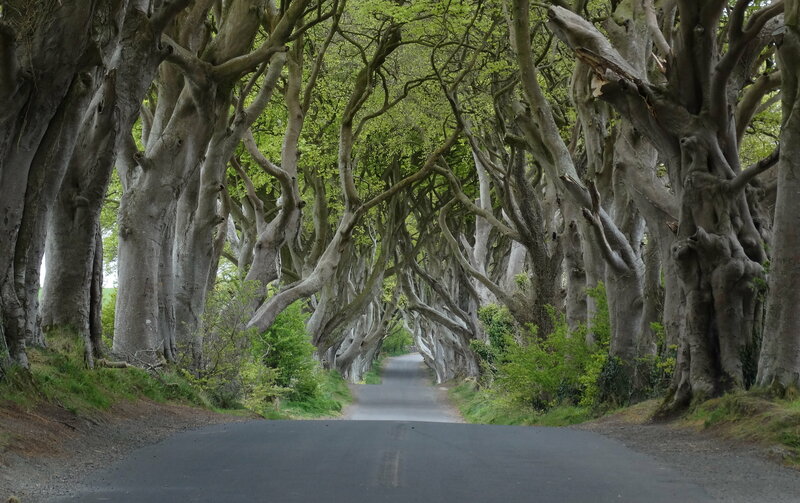 Dark Hedges: The Dark hedges are perceived in Game of Thrones to be somewhat haunting, but when viewed in person they are actually a romantic tunnel-like avenue of intertwined beech trees, planted sometime during 1800’s. They are also one of the most photographed spots in Northern Ireland. Game of Thrones: This haunting tunnel features in season two, as Kings Cross road which a young and somewhat more innocent Arya Stark travelled through in the back of a kart along with the other new recruits for the Nights Watch. 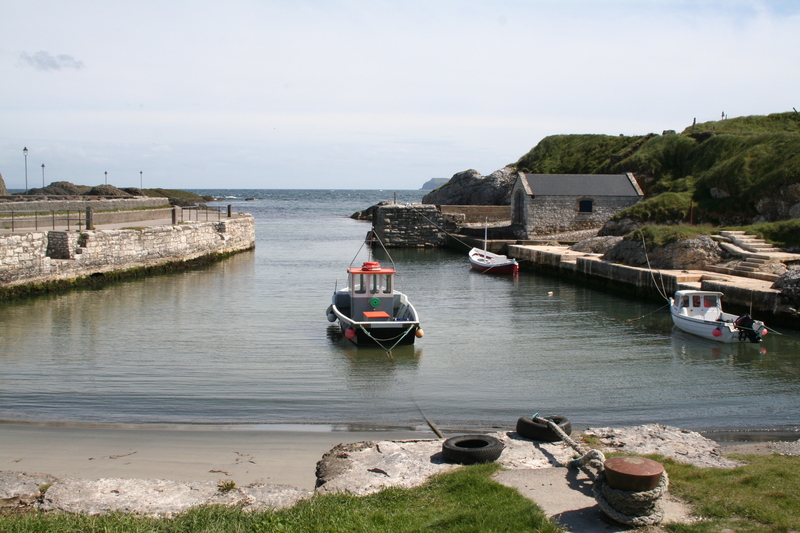 ..Another short drive to Ballintoy Harbour..
Ballintoy Harbour: Ballintoy Harbour is a little charming little fishing town off the North of Antrim, when driving into this tiny village you will be greeted by striking views of the coast and mountainous areas. Game of Thrones: You’ll recognise this little village from season two when Theon Greyjoy returned home to Lordsport Harbour. ..Then there’s another picturesque drive in the rental car the last journey of day two, to the caves of Cushendun which is just about 30 minutes away from the harbour.. 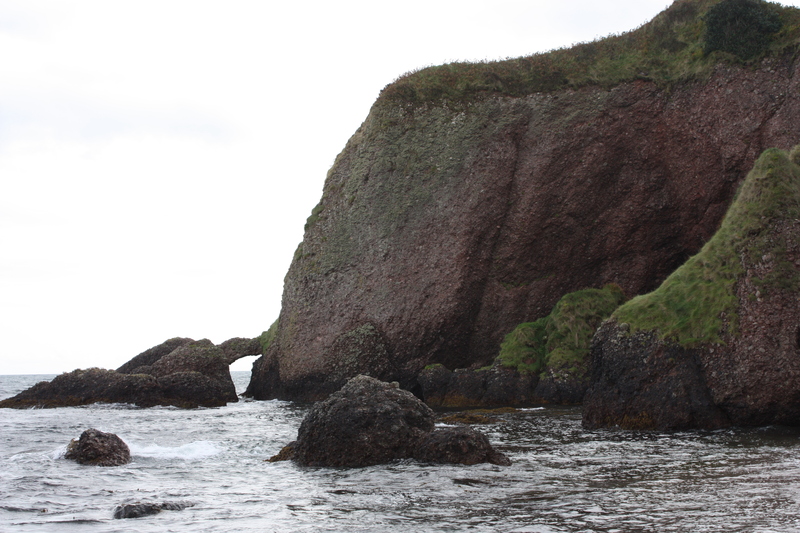 Caves of Cushendun: The caves are located off a small costal town in Cushendun a town consumed in character. The caves themselves are said to have been formed almost 400 million years ago. Game of Thrones: This beautiful area can be seen in season two when Melisandre gave birth to the shadow creature in the cove of Stormlands. That brings us to end of day three of travelling, park up your rented car and get some rest because there are three more destinations to go. Now that you are well rested, let’s embark on leg three of the Game of Thrones location tour. Only three more places left to visit on the list. .. You’ll begin you morning with a journey travelling to County Down, where the last three destinations reside.. 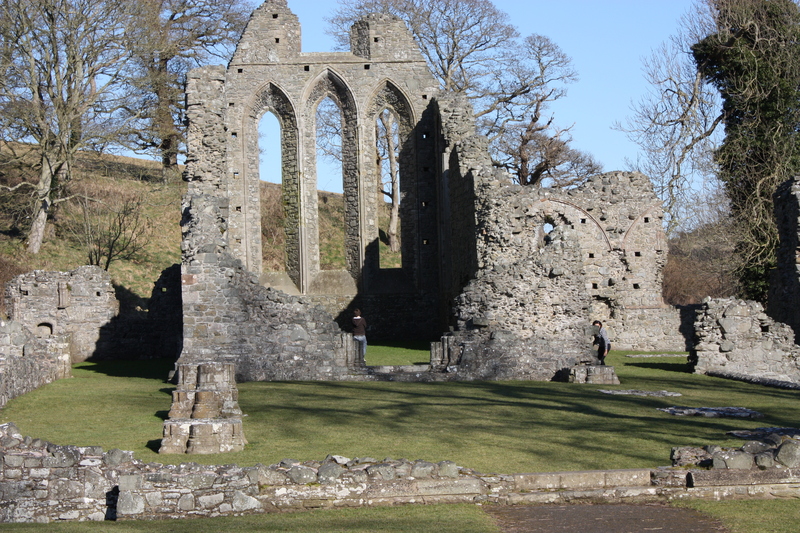 Inch Abbey: Number one on the list is a stunning large, ruined monastic site, for Architect lovers it’s a must see. The ruin is on the north bank of the River Quoile in a hollow between two drumlins and featuring early Gothic architecture. Game of Thrones: You will remember this site as Riverrun in the early days of Game of Thrones, season one. 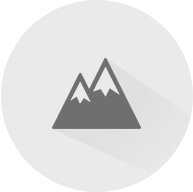 Also known as was Robb Starks Camp. ..Now hop back into your rental car and drive a mere 10 minute drive to the next destination: Castle Ward..
Castle Ward: Castle Ward is full of personality. 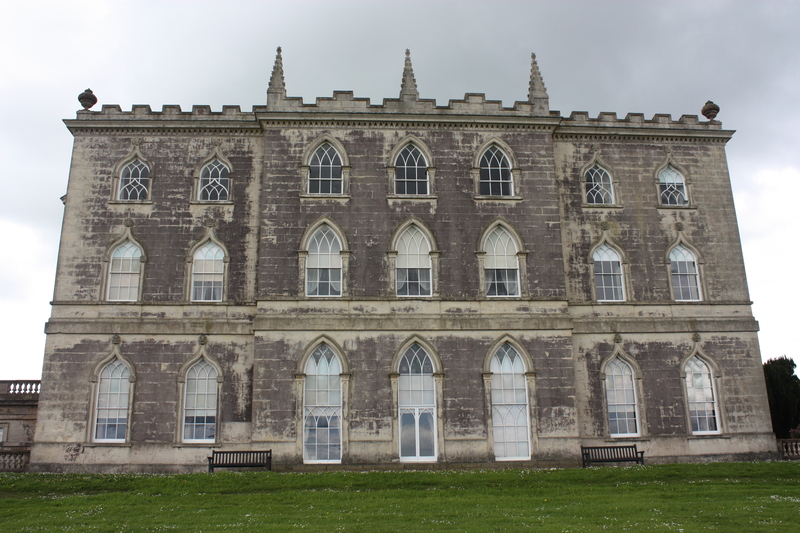 It ideally situated in a stunning location overlooking Strangford Lough, the lawns rise up to the unique 18th century house with a stunningly Gothic portico. Game of Thrones: If you don’t recognise this castle, are you even a Game of Thrones fan? It is of course, the iconic Winterfell, also known as home of House Stark. ..For your final stint in your rental vehicle, you’ll be travelling for about 60 minutes to Tolymore Forest, but don't worry this is a nice secenic jounrey so the hour will fly by..
Tolymore Forest: : Last but not least on the list, Tollymore Forest was first a state forest park in Northern Ireland. 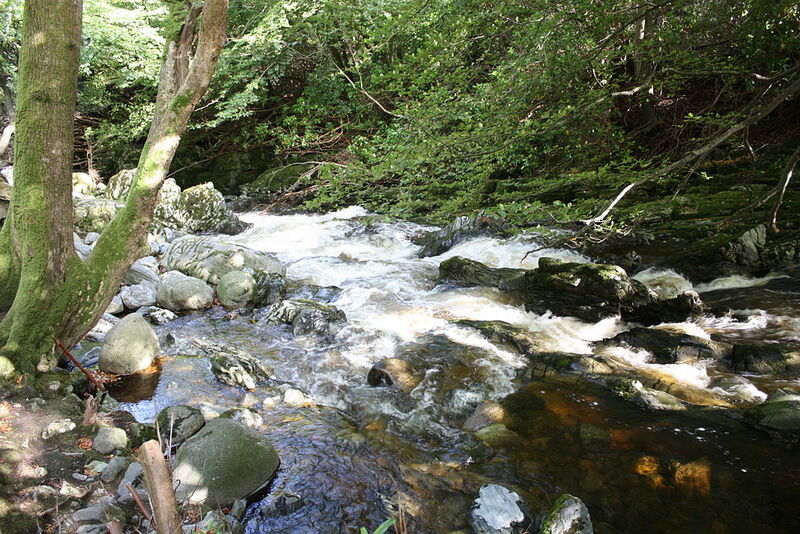 The beautiful forest spans over 1600 acres of woodland, trees and beautiful rivers. Game of Thrones: The beautiful forest features throughout Game of Thrones, but first appeared in season one as the lands surrounding Winterfell. This is where Ned Stark comes across the orphaned Direwolves, the symbol of House Stark, and brings them back to his children. That brings the three day Game of Thrones Journey to an end. Well done, we managed to squeeze the top locations into three fun filled days. The entire route and directions can be viewed here, on Google maps.